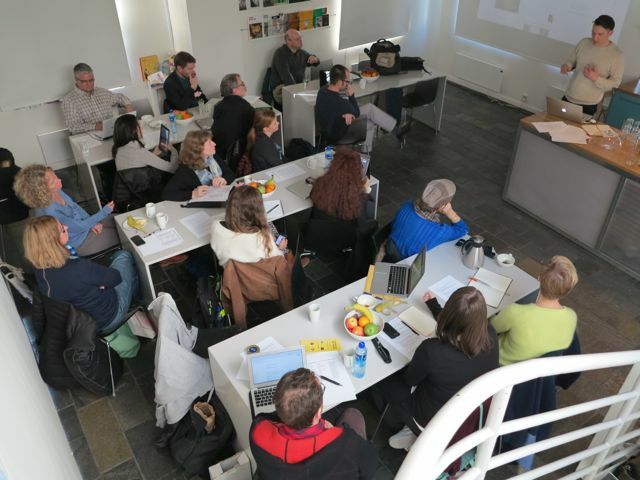 This workshop, which will include participants from Bergen cultural institutions and UiB researchers, as well as international expert speakers, is intended to examine the growing trend towards the exhibition of electronic literature in art venues, such as museums and galleries, and to examine models of curating and exhibiting electronic literature in these environments. In addition to providing an opportunity for discussion and analysis of what happens to the situation of digital literary artifacts when they are presented in gallery environments, this workshop will provide an important planning opportunity. The Electronic Literature Organization conference, which has traditionally been a biennial conference hosted in the USA, is in 2013 moving to an annual schedule, with a European host in alternating years. The first European iteration will be hosted in Paris by Paris 8 University in 2013, and then in Bergen in 2015. The ELO conference includes an academic congress, readings and performances, and exhibitions of electronic literature in art venues. By focusing attention on the issues, challenges, and conceptual opportunities offered in curating and exhibiting electronic literature, we also hope to identify and develop relationships with partners for the eventual production of a superb set of exhibitions in affiliation with the 2015 ELO Conference.